mBit Casino steps up its game with the unveiling of its enhanced VIP program, complemented by the addition of new games and the launching of a sportsbook. 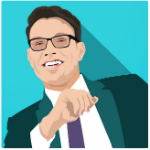 Powered by the CoinGaming.io platform, this Bitcoin casino does not rest on its laurels despite already being one of the largest Bitcoin casinos on today’s market. 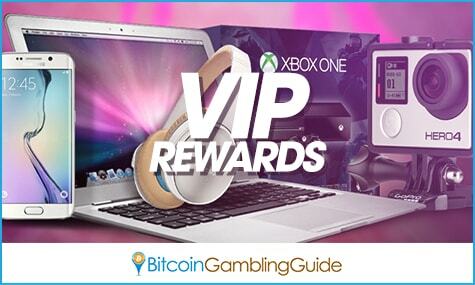 The new and restructured VIP program is a testament to its dedication as the latest set of rewards showcases the reasons Bitcoin gambling enthusiasts worldwide choose to wager their bankroll in this casino. With the new program at hand, mBit Casino grants even the regular players endless chances to catch the lucrative prizes like MacBooks, Bose headsets, high-end gaming consoles, Go Pro Silvers, and even a trip for two to Maldives to name a few. Offering improved services is among the key methods to keep up with the increasing competition in the Bitcoin gambling industry, and the new mBit Casino VIP rewards are a sure ticket to maintain the casino’s market lead. To make the reward structure friendlier to the players, the VIP incentives are open to all types of bettors, be they high rollers or beginners, provided that they play their hearts out in order to collect as many loyalty points as possible. These points can be acquired from betting on a variety of games integrated into its library, including table games, slots, video poker, blackjack, and many more. However, higher points await players who wager more on the Bitcoin slots. mBit Casino features numerous slot games designed by select game providers. Casino enthusiasts may choose from hundreds of titles created by Betsoft Gaming, Endorphina, GameART, Betgames, Takitso, and Play’n’Go. Through the accumulated points, players may qualify to join the VIP community, through which they will receive updates on their VIP statuses every fortnight. Likewise, they earn a chance to win any of the prizes from the VIP store through the exclusive VIP lottery. Also lined up in the casino’s newest offerings is the setup of a Bitcoin sportsbook. According to mBit Casino, the soon-to-be-launched sports betting service will feature distinct characteristics absent from the sites of its competitors. Moreover, players can expect improved ways to enjoy the Bitcoin casino games online as the casino aims to transform itself to a one-stop shop for avid gamblers, thereby covering as many online gambling areas as possible. mBit Casino has already established a dynamic Bitcoin casino platform that includes a live dealer casino and a contemporary approach to live betting on dice and poker. Its upcoming sportsbook will further boost the reputation of this casino on the market. 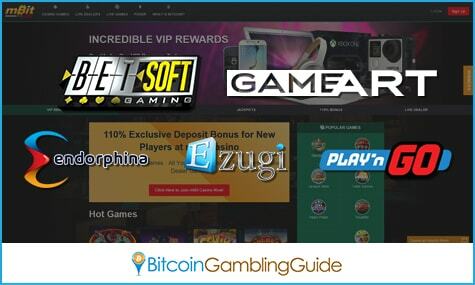 With 400 BTC worth of prizes in slots jackpots, a 110% first deposit bonus of up to 1 BTC, and its new VIP program, this casino is all set to fill the Bitcoin gambling niche with rewards and excitement.